I (Margarita Lacabe) am running for the Democratic Central Committee. Here is why. 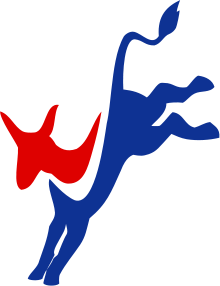 Just a quick note to let you know that I am now an official candidate for the Alameda County Democratic Central Committee. I’ve served one term there and I’d like to serve another. If you are a dem, I’d love you to vote for me in June. I see my role in the Committee as being the voice for civil liberties and accountability. While Democrats are quite committed to labor issues, education and social justice, there seems to be a reluctance to push for civil liberties head on. Part of the problem, I think, is that the people who run for the Committee usually come from unions or grassroot organizing. A larger part, however, is the current political situation. Our Democratic President may very well have the worst record on human rights of any administration in the history of this country. As a human rights activist, I find this outrageous. Obama has ordered the assassination of American citizens and their indefinite detention and torture. He has kept Guantanamo open, widened spying on American citizens and tried to silence whistle blowers. Unfortunately, the list of his repressive policies could go on and on. And yet, the Republican party is pushing so hard to destroy the social covenant, our right to privacy and freedom of religion and our economic welfare, that the possibility of one of their presidential candidates winning the election is terrifying. For that reason, the Democratic establishment is very wary of criticizing Obama’s actions or questioning his agenda (at least in non-economic or labor issues). As a member of a local Committee my reach is, of course, very limited – but I think my voice is still necessary, specially now. I understand that these positions will lose me as many votes as they may win them (one of my neighbors refused to sign my nomination papers because of of my criticism of Obama) – but I do believe in democracy, and that means being as open and honest with the electorate as possible so that you can make an educated choice of who will represent you best. I hope I will. I’m running for the 18th Assembly district, which includes San Leandro, the city of Alameda and most of Oakland (except for the hills). You get to vote for six candidates, so far there are ten candidates on the ballot though more may file before the March 9th deadline. My husband, Mike Katz-Lacabe, who is more moderate than I is also running and I will ask you to vote for him. Ditto for Robin Torello, who chairs the party in Alameda County. She is truly indispensable for the smooth running of the Committee and we’d be lost without her. Abel Guillen and Phil Ladew: Two Candidates to Get Behind – for all the right reasons It’s official: Pete Stark is running for re-election.